I have always been interested in photography. Since I was a child in Maracaibo, Venezuela (where I am from) I have been captivated by the old National Geographic series (long before the channel came on). I still have my first Instamatic (120) camera probably in the early 1980's. Before that I used to make some tries with my mother's Kodak DISC camera. I received my first serious Nikon N90 in 1992. I learned the basics by my own, reading books and magazines, but all was an enormous puzzle with many pieces out of place (1992 - 2000). 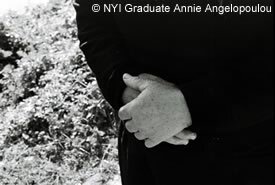 While I was living in Caracas (Venezuela's Capital city) from 2000 to 2005, I met a young photographer (Pablo Arza) who was offering private photography courses at the Universidad Central de Venezuela. I took all the four courses he was offering, which included basic, intermediate (photo posing and modeling), darkroom (film) and studio lighting. Why NYI for your training? While my friend was a very talented photographer and teacher, he was not certified as an educational institute. When I moved to Texas, I found an NYIP advertisement in the outdoor photographer magazine and, based on your experience (since 1910), I decided to take my chances with NYIP. I wanted a formal accreditation to take extra advantage of my skills. 3. What do you enjoy most about being a photographer? I enjoy many things, so it's not easy to reduce my answer to a singular one answer. I enjoy the power of making people happy. When someone smiles because I simply make him/her "look good". I am not a fashion photographer, I do not like fake poses. Doing fashion-like photography to me is like making me breathe underwater! I just find the natural view of my subjects, I allow them to relax, have a pleasant conversation, ask them to ignore me and wait… and wait… and then when my subject ignores my camera…then, I click! I enjoy the creative process of visualization! Think… think… what new approach can I find… either in the darkroom or learning Photoshop, creating, and editing… Digital or film are just the tools… Photography = Visualization. What are some of the more difficult challenges in your work? My real job has nothing to do directly with photography. I am biologist with a Master Degree in Physiological Sciences specializing in snake venom's biochemical and toxic activities. Photography is a tool I use in my career and to explore the world around me and some times as a source for an extra income. The more difficult challenge when photographing snakes is keep them relaxed, calmed and "happy", and to convince them to do what I want them to do and make them stay there while I click!… and not get bitten during the process, of course! I do respect them and never try to underestimate their skills - no need to be playing Russian Roulette, taking unnecessary risks. When doing documentaries, it is hard for me to break the ice when meeting people for the first time. You might say that I am shy… It takes some time to decide my approach, even more when they are my own assignments. I find it easier to document an event, because you are expected to do cover the event and I don't need to worry about what to say to the client. How did you get your first paying job in photography? One of my first paid jobs was to cover the Indian Embassy International Festival in 1993 in Caracas. It was through the recommendation of a yoga teacher to the Public Relationship embassy manager. You may see the portfolio here. How has your NYI training helped you? NYIP finally consolidated all the pieces of the puzzle. I am really satisfied with all the material I received. It may not be perfect, but based on my background in photography, I can strongly recommend the Professional Course of Photography to anyone at any level of knowledge. You can always learn something else. NYIP also offered a broader perspective of the photography as a business. I do not have a business per sé, I am not a "professional" because I do not make my living income of photography. My professional photography work is based on the publications I produce. I have also worked producing portfolios for local art students and covering institutional events. I am about to publish a book about snakes in Venezuela (joined with other authors) and an educative book and poster of the venomous snakes of Texas (as only author and photographer) as part of my research work at Texas A&M University-Kingsville, is actually under revision by Texas A&M University Press. My next step is to enroll in the Photoshop for Photographers NYIP course. I expect it to be at least as good as the Professional Photography course.